You have been feverishly working to get your mortgage in place. You have been searching for homes online at a feverish pace. You have seen countless houses. Now that you have found the house of your dreams, inspection day is right around the corner. This is usually one of the most exciting days for the buyer because they now get the chance to see the house in a more relaxed setting and have their first opportunity to carefully check out every inch of the property. Since this is going to be the last chance you have to look over the property until the final walk through that is just before closing, it’s important you make the most of the home inspection process. The most important day other than the one that you decided to buy a home is the home inspection day. Expect both real estate agents to be at the house, and you should plan on being there too. Depending on the home inspection service and the size of the house, the process could take anywhere from a few hours to half the day. The seller’s Realtor may be there to help the home inspector with any questions they may have. Most home inspectors will not have an issue with you following alongside them unless of course you interfere with their work or they are going to be on the roof or in a tight crawl space. Wear clothing you don’t mind getting dirty because you might be in an attic or in a dirty basement while checking out the house. Follow the inspector as much as you can in areas reasonably accessible. Don’t become a pest, instead, be a student and try to absorb as much information as the inspector gives. If they make comments about things they would personally replace, make mental notes. Although the final house report will reveal all those findings, hearing the home inspector firsthand is very helpful for many people buying a home. Although real estate agents usually recommend the best home inspection services to their clients, every inspection team has a different way they do their job. This is eventually going to be your house, so it is not out of the question for you to create your own home inspection checklist of things you would like checked more closely. If you already noticed a few things during the short time you were in the house on the initial showing, put them on the list to give to the home inspector. 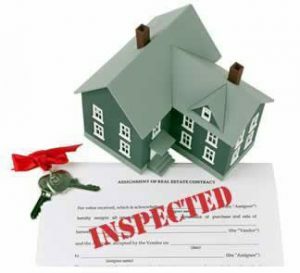 Consider some of the following key points the inspector will address so you know what to expect the day of the inspection and on the final report. Home Exterior – The home inspector is going to check that the grade of the property so that the drainage takes water away from the home and doesn’t allow it to pool near the foundation. The Foundation – One area that will get serious attention is the foundation. What needs to be noted is if any cracks or shifts are apparent in the foundation, and if there appears to be damage from water. The Attic – While it might appear sound, the inspector is checking the support system to make sure the structure is sound. This is also an area that gives the inspector the chance to see if the roof has damage or is leaking from the inside. The Roof – The home inspector will pay extra attention to the roof. The weather here varies all year-long. The summers can be especially hot, and the winters extremely cold. All that change in temperature can negatively impact the roof, so the year of installation will be determined, if it was replaced, and if repairs were made. Looking for Leaks – Perhaps you noticed water damage in one of the rooms during the initial showing, bring it to the attention of the home inspector. Evidence of interior leaks are signs of damage somewhere on the exterior. The inspector will search the roof or windows for damage that caused the leaks and report their findings. The Electrical System – You don’t want to be buying a home that has electrical issues because the costs can be significant. Your home inspector will check all the switches and look for any obvious malfunctions. They will note if the panel has been updated and if the house has a recent addition, and that all the proper permits were in order to make the changes. The Plumbing System – When you are selling your home, you assume everything is fine if it was in good working condition while you lived there. The seller might think everything checks out, but a good home inspector can utilize technology to see the inside of those plumbing pipes and find issues that could be serious moving forward. The heating and cooling system in most homes is one unit that controls both the heat and the cooling. That means the HVAC system is running in this region most of the year to heat or cool the interior. Your home inspector will check all the moving parts, the maintenance record, and report if the system still has plenty of life in it. What Types of Issues Are Commonly Found? One thing that you can use to your advantage when the home inspection team arrives is to present them with the seller’s disclosure you received after making an offer on the house. In some instances, the seller may have even performed a pre-listing inspection. If that is the case, the results should be on the property disclosure. This is a document the seller must use to report issues with the house before anyone can close the deal. The issues reported on this disclosure can point your home inspector to areas that need closer attention. Whether buying or selling your home, it makes sense to have the best home inspection team on site taking care of the concerns of the buyer. Not only can the final report show areas that need to be addressed, but it can also provide assurance that the house is sound and worth every dollar the seller is asking.